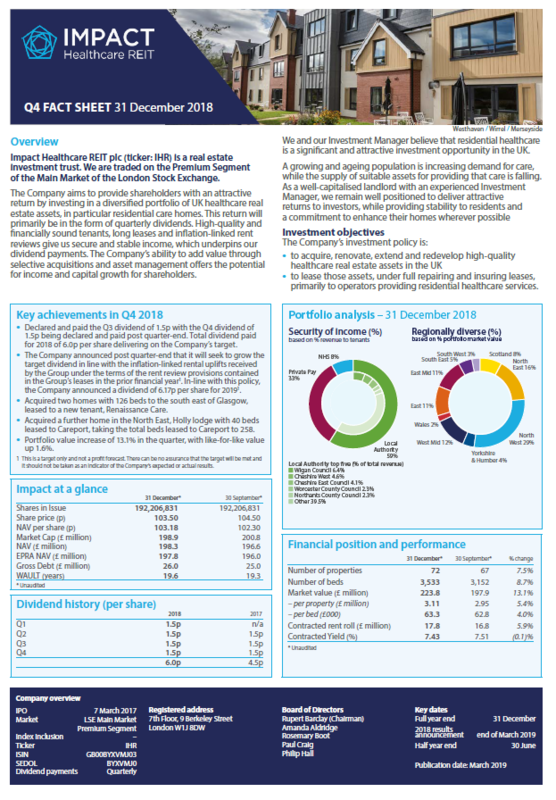 Impact Healthcare REIT plc is an Investment Company (as defined under s833 of the Companies Act 2006. This website (the “Site”) is directed at persons in the United Kingdom. The products and services mentioned on this Site are subject to legal and regulatory requirements in various jurisdictions and may not be available in all jurisdictions. The information in this Site does not constitute an offer or solicitation of an offer to buy or sell any investments or to engage in any investment activity in any jurisdiction where such activity would be contrary to local law or regulation. Persons in jurisdictions where these activities are restricted or prohibited must not access or use this Site. It is your responsibility to be aware of and comply with any relevant laws or regulations applicable in your jurisdiction. 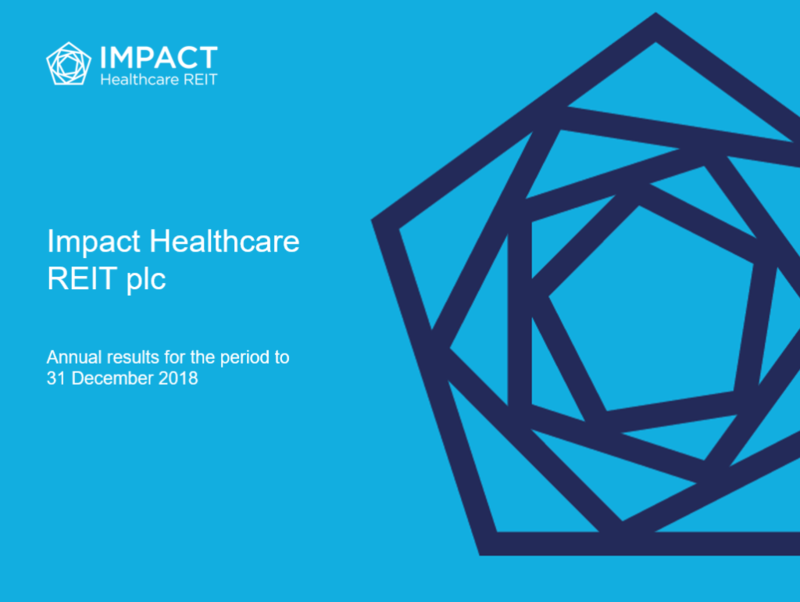 Whilst Impact Healthcare REIT plc (“Impact”) has taken all reasonable care to ensure that information on this Site is accurate and complete at the date of its publication, Impact cannot guarantee the adequacy, accuracy or completeness of such information. The information contained on this Site is subject to change at any time, without notice. The views expressed in this Site are the opinions of Impact and such opinions are subject to change without notice. Impact reserves the right to withdraw or amend the service provided by the Site at any time. Impact does not accept responsibility as to the operation, functionality or availability of this Site, or warrant that the use of the Site will be free from delay, interruption, interception or error. You must not misuse this Site by knowingly introducing viruses, trojans, worms, logic bombs or other material which is malicious or technologically harmful. You must not attempt to gain unauthorised access to this Site, the server on which the Site is stored or any server, computer or database connected to this Site. You must not attack this Site via a denial of service attack or a distributed denial of service attack. Impact may report any breach of this provision to the relevant authorities and may cooperate with them in any investigation, including by disclosing your identity. Impact will take reasonable precautions to ensure the security of this Site. However, Impact will not be liable for any loss or damage caused by a distributed denial of service attack, viruses or other technologically harmful material that may infect your computer equipment, computer programs, data or other material due to your use of this Site or to your downloading material posted on it. 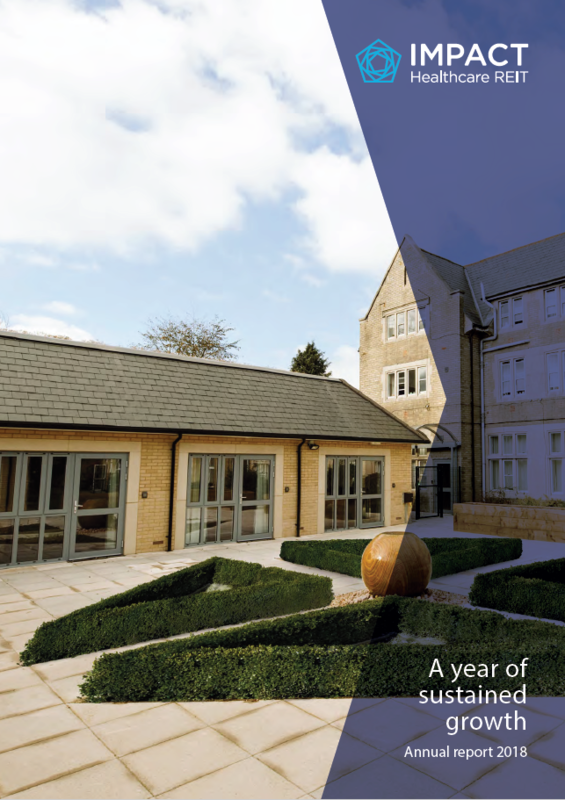 You may obtain copies of the prospectus and the annual and interim report and accounts issued by Impact from time to time free of charge by contacting Impact at 7th Floor, 9 Berkeley Street, London W1J 8DW or these can be downloaded directly from this Site once they are available. Impact does not provide financial, investment, tax or other advice. If you are unsure as to whether an investment in Impact is suitable for you, you should seek your own professional advice. It should not be assumed that an investment into Impact will be profitable. Past performance is not necessarily a guide to future performance. The value of investments and the income from them may fall as well as rise, may be affected by changes in rates of exchange, and you may not get back the amount of your original investment. Impact is committed to protecting the privacy of third parties (including all visitors to the website Impactreit.uk). For more information, please read our Privacy and Cookies Policy which explains how we collect, use, process and protect your Personal Information. Impact is the owner or the licensee of all intellectual property rights contained within this Site and in the material published on it. These works are protected by copyright laws. All such rights are reserved. You may download or print out a hard copy of pages from this Site or the material made available on it for your personal reference. However you must not make any copy of the material on this Site for public or commercial use without Impact’s prior written consent. You must not modify the paper or digital copies of any materials you have printed off or downloaded in any way. Where this Site contains links to other sites and resources provided by third parties, these links are provided for your information only. Impact has no control over the contents of these sites or resources and accepts no responsibility for them or for any loss or damage that may arise to you from your use of them. Impact has the right to terminate your access to this Site at any time on giving notice to you and in any event if you commit any breach of these terms and conditions. Impact shall have no liability to you for such termination. In the event that your access to this Site is terminated, the remaining provisions of this Legal Notice will continue to apply. Save as provided below, neither Impact, any of its members, officers or employees, nor any third party vendor, will be liable or have any responsibility of any kind for any loss or damage that you incur in the event of any failure or interruption of this Site, or resulting from the act or omission of any other party involved in making this Site or the data contained in it available to you, or from any other cause relating to your access to, inability to access, or use of the Site or the materials contained on this Site whether or not the circumstances giving rise to such cause may have been within the control of Impact, or of any vendor providing software or services support. Nothing in this Legal Notice shall restrict or exclude any liability that Impact has to any party that cannot be excluded by law. You shall indemnify Impact from and against all actions, claims, proceedings, costs and damages (including any damages or compensation paid by us on the advice of our legal advisors to compromise or settle any claim) and all legal costs or expenses arising out of your use of the Site and any breach by you of any terms and conditions contained in this Legal Notice.